An opposition demonstrator plays the violin during a protest against President Nicolas Maduro in Caracas. Credit: FEDERICO PARRA/AFP/Getty Images. A total of 68 countries suffered net declines in political rights and civil liberties during 2018, with only 50 registering gains. 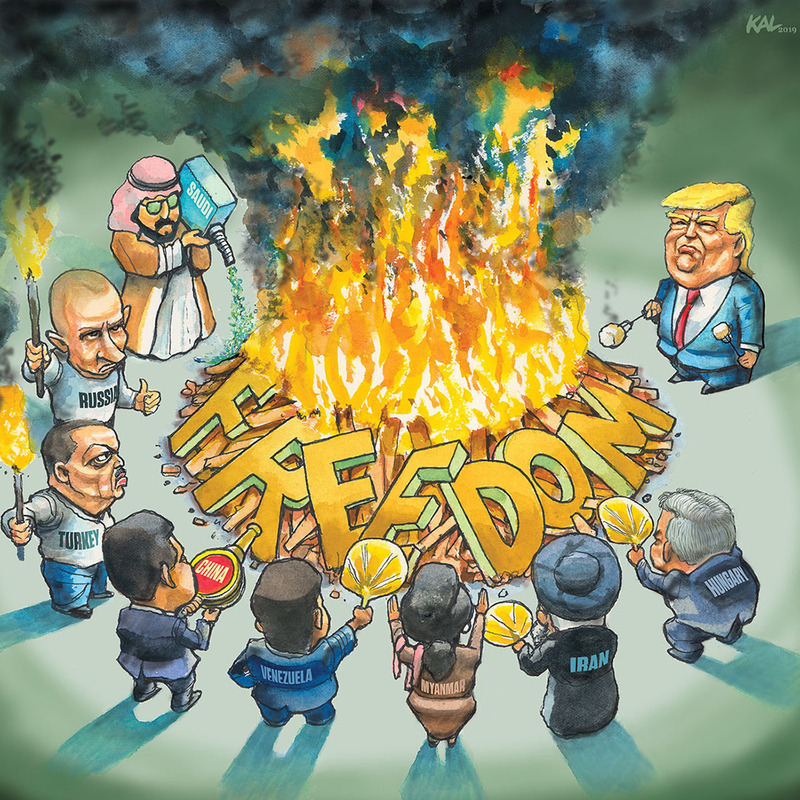 Freedom in the World has recorded global declines in political rights and civil liberties for an alarming 13 consecutive years, from 2005 to 2018. The global average score has declined each year, and countries with net score declines have consistently outnumbered those with net improvements. Serbia: Serbia’s status declined from Free to Partly Free due to deterioration in the conduct of elections, continued attempts by the government and allied media outlets to undermine independent journalists through legal harassment and smear campaigns, and President Aleksandar Vučić’s de facto accumulation of executive powers that conflict with his constitutional role.